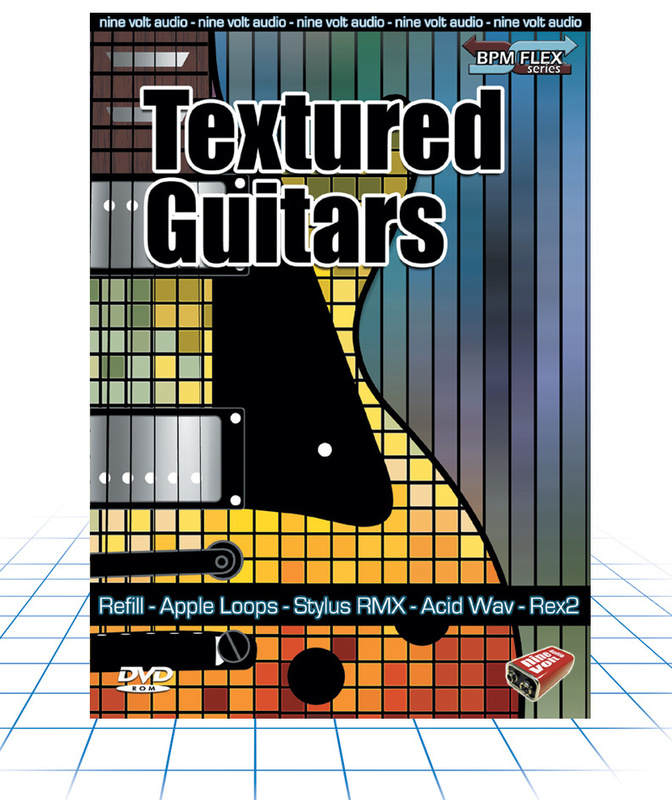 There are no prizes for guessing the subject of this library, because the electric guitar obviously provides the original sound source, and a combination of effects and processing turns the performances into a range of textures. But it is also a flexible library, because the end results could easily work in quite a wide range of musical styles. 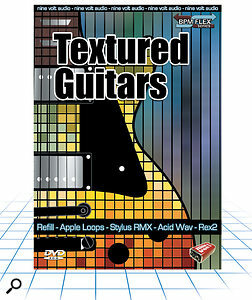 In total, Textured Guitars contains over 500 loops, all of which are presented in a range of common soft‑sampler formats, as well as audio loops. For the purposes of this review, I explored the Acidised WAV files, which were organised into tempo‑based folders, with bpm speeds ranging from the low 70s to the high 130s. From a technical point of view, the interesting thing about this collection is the organisation of the loops into what Nine Volt Audio call 'suites'. These aren't construction kits in the traditional sense (there are no drums, bass or keyboard loops provided), but collections of related parts. There are generally around 10‑12 loops in each suite, and these provide a combination of single chords, riffs and chord progressions that are sonically similar, and can easily be combined or chained together to construct a complete guitar performance spanning a range of song sections. Usefully, a lot of attention has gone into the naming of each loop. For example, where appropriate, details of the chord or chord sequence are included, which is very helpful. Musically, if you can imagine The Edge working up song ideas on his own in the studio you'll have some idea of what Textured Guitars is about. There are lots of trippy delays, fuzzy filters and modulation effects going on. That's not to say that this library is only for U2 fans: while one or two of the suites would fit very obviously in that style, the material is actually quite diverse, and takes you from ambient soundscapes, through power pop, to the more melodic bits of modern rock (you know, the verse sections with the picked guitars that are slotted in between the head-crushing chords of the chorus) and the downright heavy. Moreover, some of the processing takes the sounds more into synth territory, where the guitar is not always easily identifiable as the source and, with the multiple delays, an arpeggiator‑style sound is created.